The Indiana School for the Deaf in Indianapolis was founded in 1843 and was originally called the Willard School. 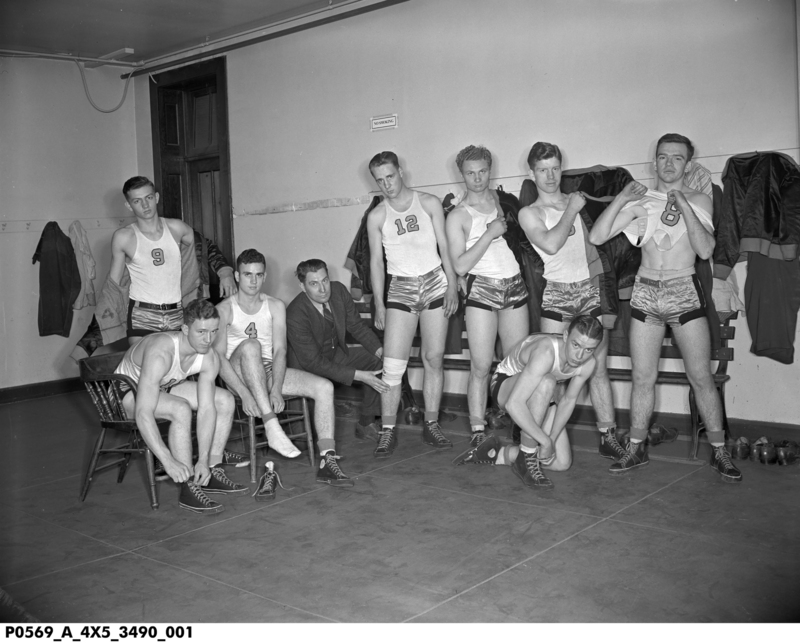 This black and white photograph shows the school's basketball team and their coach in 1941. The team appears to be getting ready to take the court as they put on their jerseys, shoes, and the coach helps wrap a player's knee. Credit: Indiana Historical Society. Digital Image © 2016 Indiana Historical Society. All Rights Reserved.